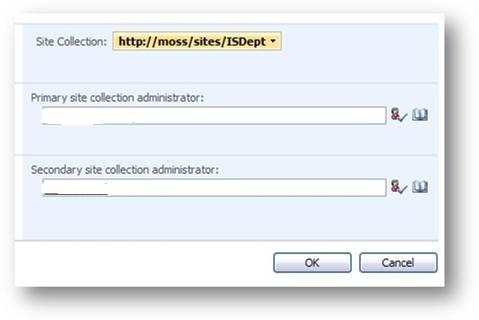 I recently came across an issue with a MOSS 2007 deployment where access into some sub-sites were denied, even for the MOSS farm administrators. A bit of background to the setup of this MOSS farm; this was a three server setup, consisting of a front-end MOSS web server, back-end SQL 2005 server and server system containing search, indexing, single sign-on, amongst other back-end MOSS services. The farm administrator had attempted to access one of the sites in question, receiving an "Access Denied" page, then attempted to change permissons to the site by accessing the site with a farm administrator account, still receiving an "Access Denied" message. The predicament was further exacerbated as the primary administrator of the site, had left the organisation and account had been deleted many months prior. The administrator had attempted to visit "/_layouts/mngsiteadmin.aspx" for the site, which will show the admins for a site. If only one admin has access they can add more admins and save, but in this instance was still receiving an "Access Denied" page. 7. 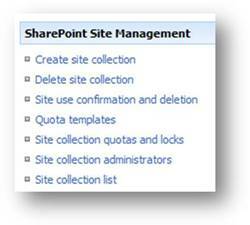 Go to the “Site Actions” and select “Site Settings"
8. 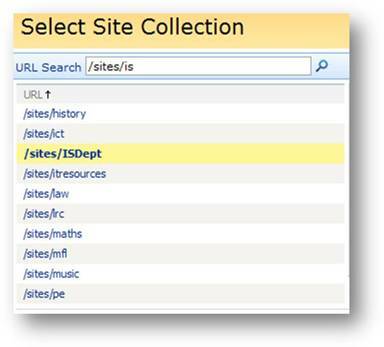 From this page you will be able to control the function, permissions and everything for this site and its’ sub-sites, so in this example you will now be able to add more site collection administrators, then select OK.
9. You can and should also alter the “viewers” for this site in the permissions, as appropriate to the site.